Every week host Lynne Rosetto Kasper and producer Sally Swift entertain loyal listeners of their national radio show The Splendid Table with a wealth of stories, tips, recipes and original ideas for serving family dinners. Lynne Rossetto Kasper is a leading food authority and cultural historian and as with her show this book is a primer into the (thankfully) evolving role that food has in our lives and the ways it can nourish both body and spirit. Tucked in with the useful recipes are some insightful and entertaining insights on food politics, culinary lore and funny bits, as well as, some pretty useful kitchen tips. The information is presented in charming and concise snippets with the ‘cook to cook’ sections giving us some truly ‘I did not know that’ enlightening moments. We particularly enjoy the ‘Building The Library’ sections, neat little book recommendations for book aficionados. 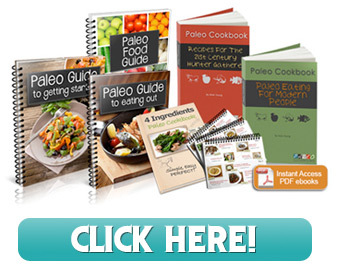 While this is more than a cookbook, it will be judged by its recipes and there are some true winners. Kasper is an accomplished cook and writer ( her Splendid Table: Recipes from Emilia-Romagna, the Heartland of Northern Italian Food is an award-winning long time best-seller) and while these dishes are not all quick and easy, nor are they fussy or complicated, just simply prepared with the freshest ingredients. Some favorites we tried with great success include Flash Chicken Saute with Cider and Almonds; Almond Chutney Chicken in Lettuce Roll-ups; Provencal Tuna Salad (with some great variations) and the Rustic Jam Shortbread Tart. As promised, plenty of great weeknight (or weekend) recipes here. 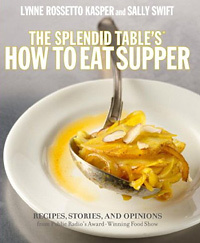 Splendid Table’s How to Eat Supper is a cookbook with a real personality, just the right blend of humour, authority, information and style.